The weather was perfect at 11 a.m. as the 4th of July parade began from the Meadow Valley Firehouse. 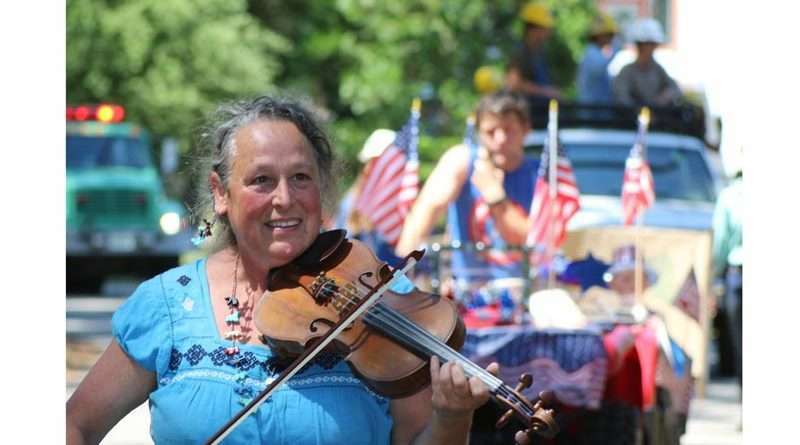 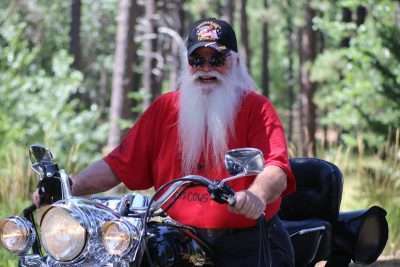 The cool provided by the abundance of trees and plenty of shade, continue to make the annual event attractive to locals and nearby neighbors in Quincy. This year’s parade seemed larger with both more spectators lining the Pineleaf Estates neighborhood as well as larger number of Q-town participants. The new Meadow Valley firehouse may have been a centralized feature as the twin communities were able to see the new facility that was completed this year. Contributions from Quincy and Meadow Valley residents over the past couple of decades made the building of the new station possible. 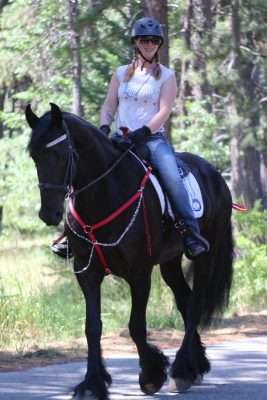 Kristen Johannson chooses the Meadow Valley 4th as the first parade for her black, big beauty. 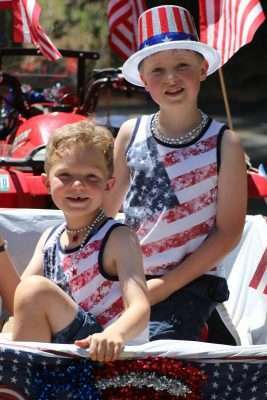 Anthony, right, and Evan Johannson enjoy being in the Meadow Valley 4th of July Parade. 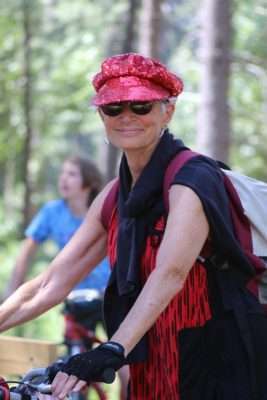 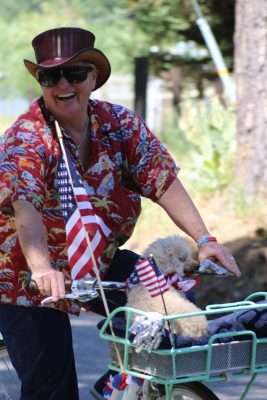 Michelle Fulton, co-owner of Meadow Valley’s FulHat Farm, peddles through Pineleaf in the parade wearing the day’s most common accessory, a big smile. Quincy local Carla Hamilton sparkles red for the parade. Larry Trotter breaks out his “hog” for the 4th of July parade in Meadow Valley. 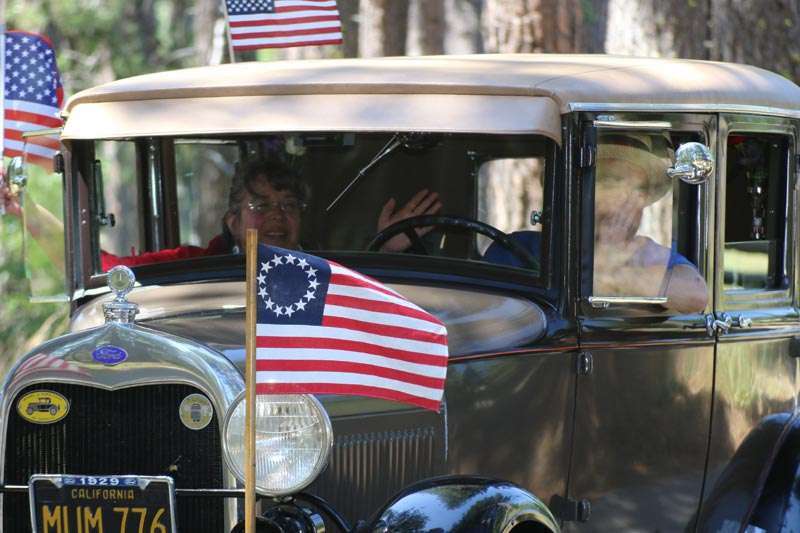 Plumas County Supervisor Lori Simpson rides along with Rick Foster in his classic car with patriotic flags flying. 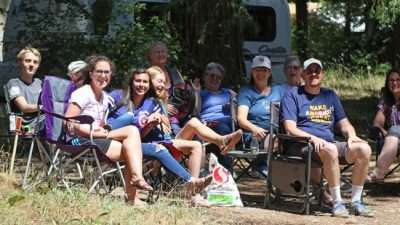 Parade watchers stacked into the shade Wednesday morning. 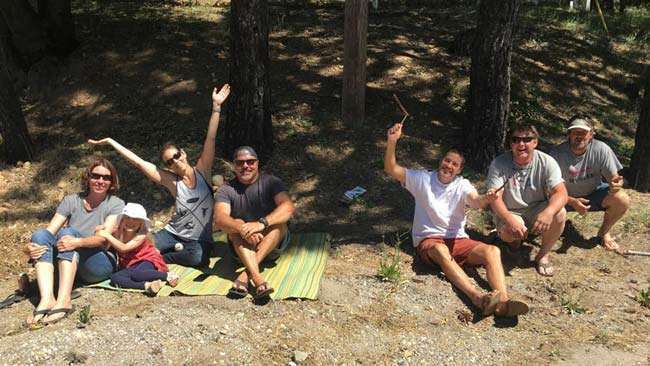 A happy crew occupies a prime corner at Bucks Lake Road and Pineleaf waiting for the parade.